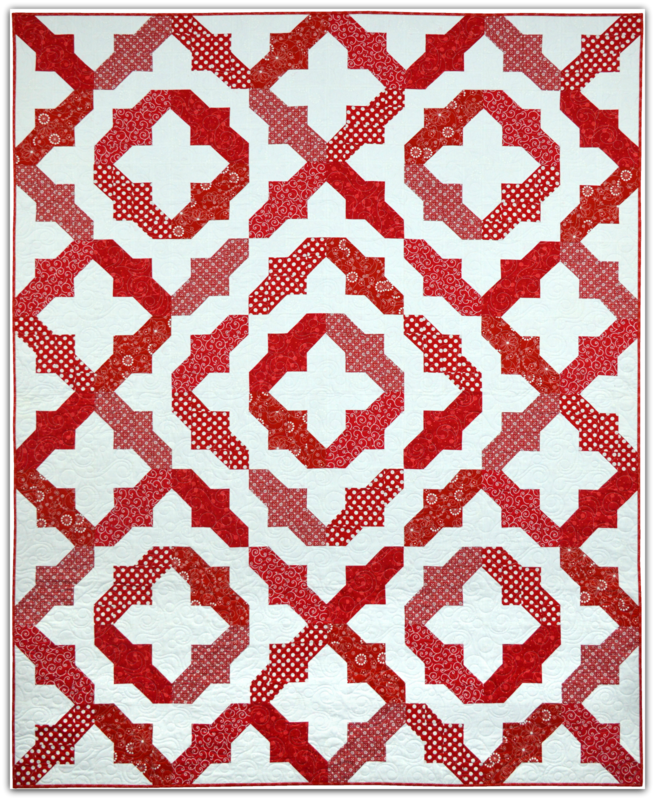 Square Dance is a spunky quilt! The fabrics a cut into 2 1/2" strips and staged in a unique setting to get that dancing motion. The fabric line is Kimerbell Basics by Maywood Studio.